Of all the varying experiences undergone in different capitals of the world, Athens puzzles me. It is like a vast maze of identical buildings that has gobbled up every space and thrown up endless one-way streets. I have had to rely on taxis during my time there, regardless of the fact that I chose hotels as close as possible to the Megaron International Conference centre, in the hope that I would walk and exercise frugality. Apart from the bright yellow taxis lining up outside the airport pegged at a standard rate of 35 euros to the destination; every trip around the city centre varies from 4 -5 euros per trip, a price that doubles after midnight. 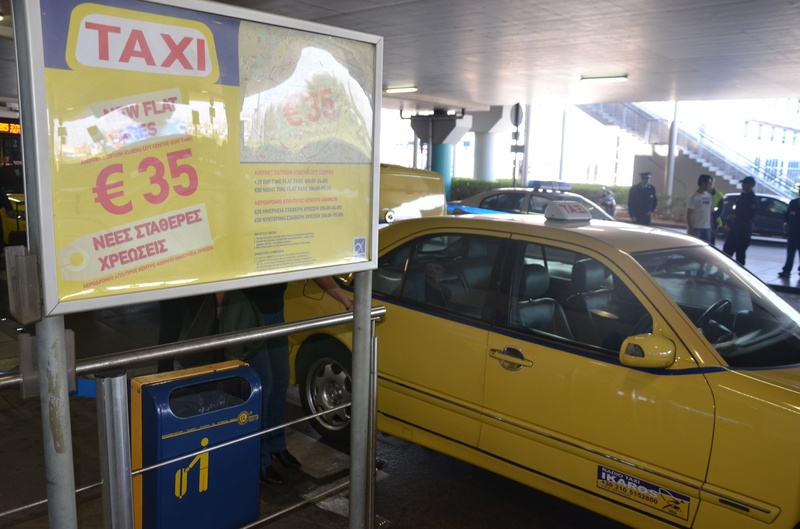 A taxi at the Athens Airport. My attempts at mastery of the subway routes fail as I only get as far as knowing the stops at Ommonia, Syntagma, Acropolis, Monastiriki and Megaro Moussikis. Athens probably needs a second visit to enable me familiarize myself with the Greek capital. While downtown both fascinates and confuses me; the archeological sights stand tall, proud and solitary. The only crowding seen around these ancient behemoths are of tourists milling around. I think the elderly restauranteur who doesn’t say much but places a huge bottle of water plus two glasses at our table while we are enjoying souvlaki, views me as a tourist. He waves away my offer of payment for the water which has refreshed us and I’m touched by this humane gesture. Then there are the guys that swarm around us bearing flashy looking iPhones and iPads, which they thrust at us as we disembark at the Port of Piraeus. I’m not drawn to the techno stuff, and ignore their bargains but when one of them flashes designer perfumes before me, squirting a little on the backside of my palm, he has me at my Achilles heel. I’m a sucker for sweet smelling scents and I end up with the Lancôme perfume whose scent hardly lasts a couple of hours, iPhones and an iPad I neither want or need, and a Bvlgari watch that cost me just 15 euros. Some 30 minutes later, after a snack at the port and a few purchases of souvenirs, a gentleman that has so far been silent decides to talk. He seems disgusted that I bought the stuff from the guys and laments aloud about that. I am quite surprised that he mentions it now when they’ve gone while he was right there with his dogs and paintings. “These guys are gypsies, the Roma…they steal, that is their work..that is the only work they know to do,” he sighs resignedly, like I am a child who has erred. He seems more pained than I am, for wasting my cash on what he deems as ‘toys.’ That I would buy perfume from the streets, that in his opinion would likely give me a rash and a visit to the doctors. While I’m not particularly happy about it, it is not something that would give me sleepless nights. I had asked the guys why everything on offer was so cheap and they came up with valid, convincing arguments. 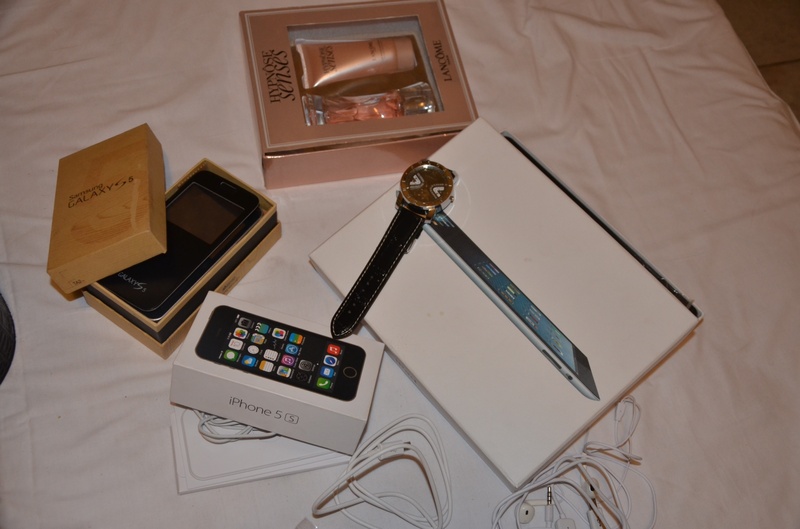 “The recession has hit our country hard, so the government gives us iphones to sell and have money,” was one answer I got. “The black market…, my father works in the port and we get these tax-free,” the other guy says. He looks a little burly, with unwashed clothes and caked white balls at the corner of his eyes, and has lowered his voice to a whisper. The guy that sold me the diluted perfume is still around, I let him know what the gentleman with the dogs has told me. He tries to sell me a ‘Swiss watch,’ but I have had enough street shopping for the day. I feel sympathetic towards the gypsies. We took a full course on the Roma at Law school, the discrimination and challenges they face in European society. I shrug off the fact that I am a couple of euros short, these are a few bad apples but if they can use the 100+euros to help their families out then I’m cool with that. As well known as Greece is for its’ great cuisine and archeology, it’s also known for its Olympian spirit. I guess they’ve pulled a fast one on me..
Have you ever been scammed on your travels? What did you think of the experience? 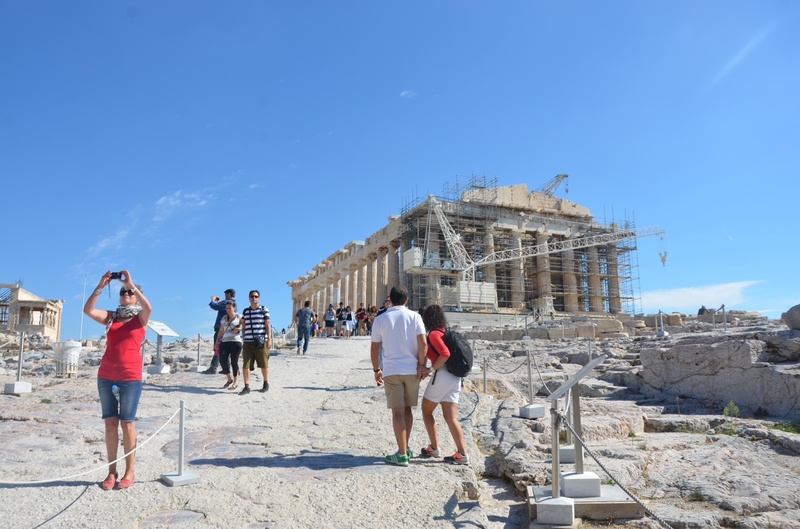 Athens has its own hidden puzzle – thank you for sharing it – we both are in the same boat! Thank you too for sharing! Will check out the link in a bit.. Thanks much! My second Liebster award..woohoo!! Will do the assignment in a month or two! Thanks again..
Ooh that scam sounds bad. 😦 I have always been offered things around Asia but never bought anything. I did get scammed by taxi drivers a few times though. Painful, and expensive. Oh well, we all live and learn. Did your iPhone actually work? We had an incessant guy try to sell an iPhone 6s for €50 in Piraeus this afternoon! Tempting but know that even if it is real, the IMEI will likely get blocked. We didn’t do it but it felt weird being approached by a guy when we’re travelling with two kids! It’s great you didn’t buy it. The iPhone didn’t work, it was a total scam. Thank you for getting back! I assumed it was a scam – but it’s easy to overlook that when there is potential that you could be missing out on a good deal!! Glad we didn’t get tempted and throw away €50!! Athenian here: On the one side I can’t believe you ”fell” for that, on the other… everyone learns by mistake. The locals avoid these people and know how to tell them off, but tourists are not so used to this and are more targetted. Roma are trained from a very tender age to beg and fake, and unfortunately they also make up stories. One common trick by them is they give you flowers as gift supposedly (accompanied by a compliment) and then come and ask money for them. It’s harsh but just ignore them, they play on someone’s good will and naivete. Also not give money to roma children (their families force them to beg, often under extreme heat in the summers!) and be very careful in your transactions with them. I can understand why this silent man didnt talk until the vendor left… better not to mingle with these things. The roma especially are known for their violence and contempt for police. I still hope you had a great time in Athens 🙂 I love your blog! Thank you for reading and commenting on the post! Oh yes! I learnt a huge lesson! Since then, I’ve learnt to share food instead of handing out cash..most recently in Warsaw during summer, these kids thought my cup contribution too small and threw it back at me, after that experience, I was offering people who begged, food. Some accepted the food, most didn’t. I felt silly for being scammed that way, I should have known better. Mistake learnt! 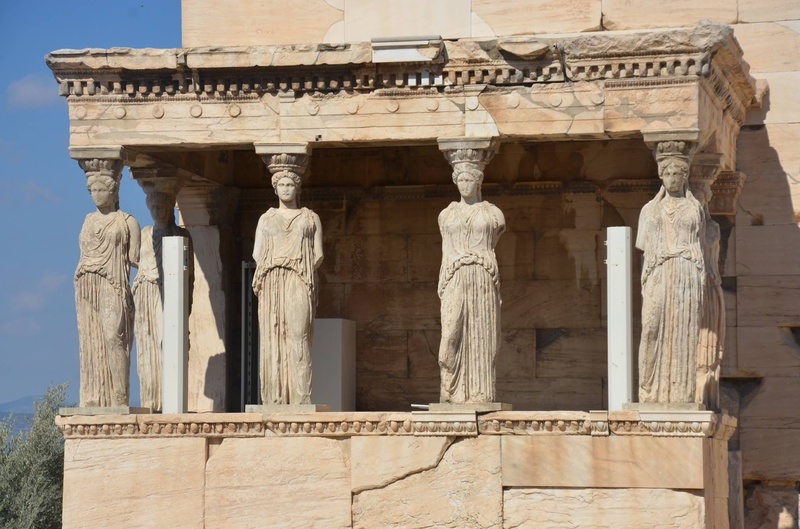 I loved Athens nevertheless, loved the amazing sights..and ancient architecture.